110 Volt, motor with 3 speed control. 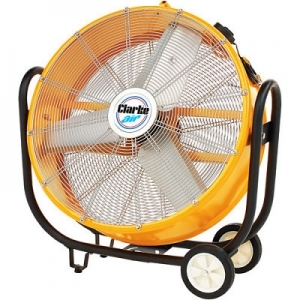 The Clarke CAM110 drum fan is suitable for business premises with an input voltage of 110 volt. This robust drum fan has 3 fan speeds and can be tilted on its frame to vary the air output. The Clarke CAM110 drum fan can be easily moved via its wheeled frame to wherever it is required.